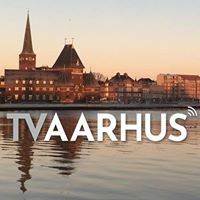 General TV Channel / TVAarhus's goal is to create exciting, informative, local and informative TV for citizens in East Jutland. TVAarhus is politically independent. TVAarhus belongs to Antenneforening Aarhus and is a nonprofit association. TVAarhus has 2 permanent affiliates - Jack Fridthjof and organizes - Claus Pilgaard. TVAarhus - Local weekly news for Aarhus. The broadcasts are all produced in Aarhus by a network of volunteers who love to show Aarhus.